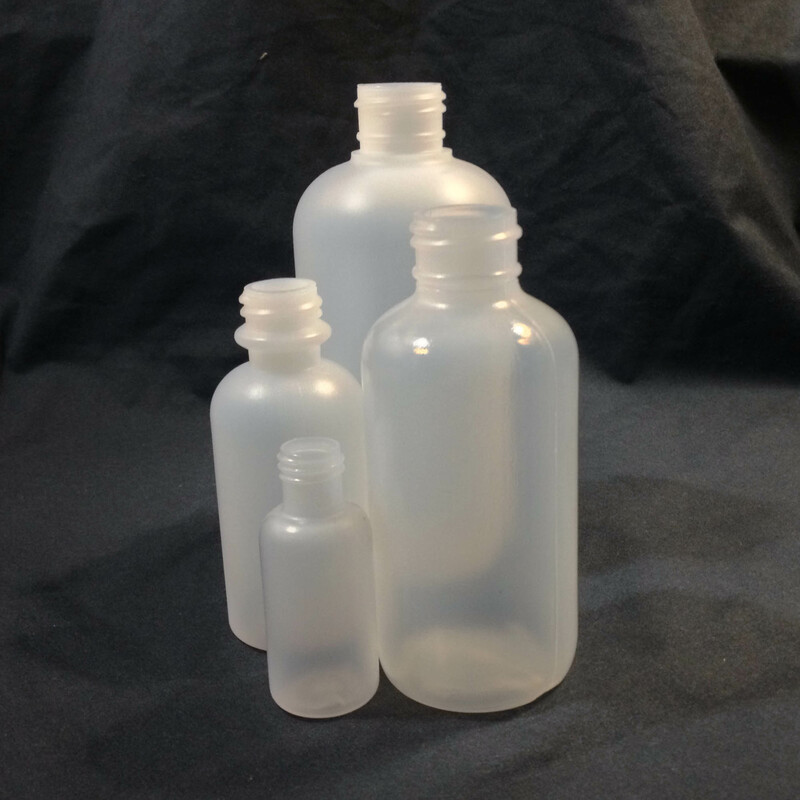 Plastic bottles are stocked in sizes ranging from 1/2 oz. 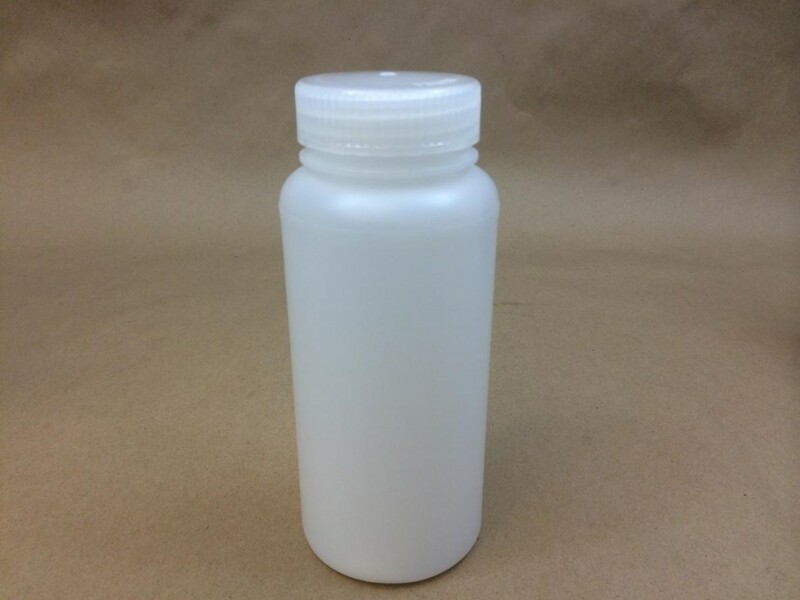 on up to 32 oz. 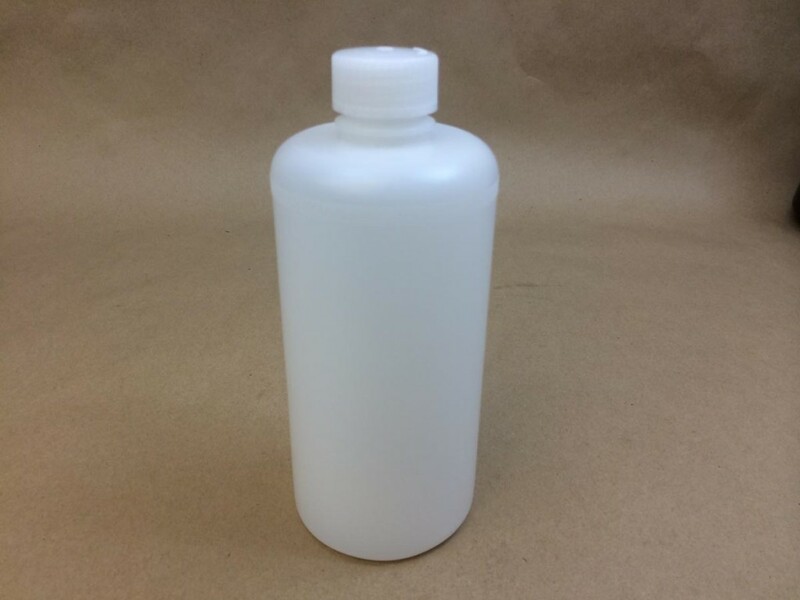 We also stock items that are loosely referred to as bottles from 32 oz. 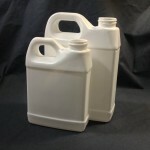 on up to 5 gallon. 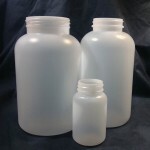 We carry carafes, cylinders, boston rounds, modern round, standard round, f-style and cc round plastic bottles. 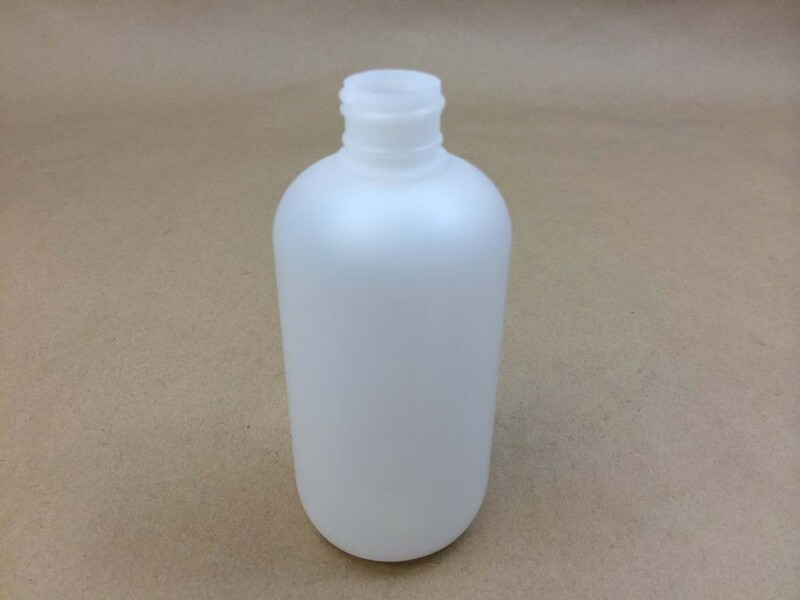 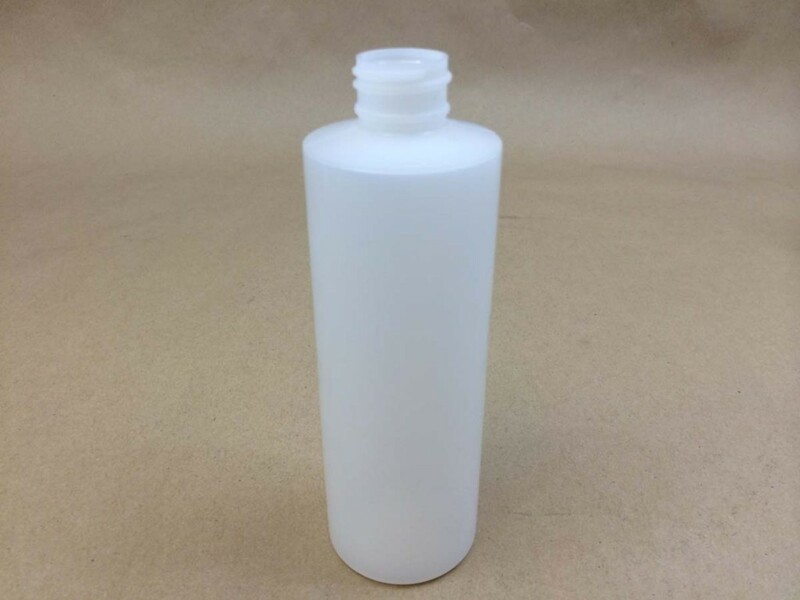 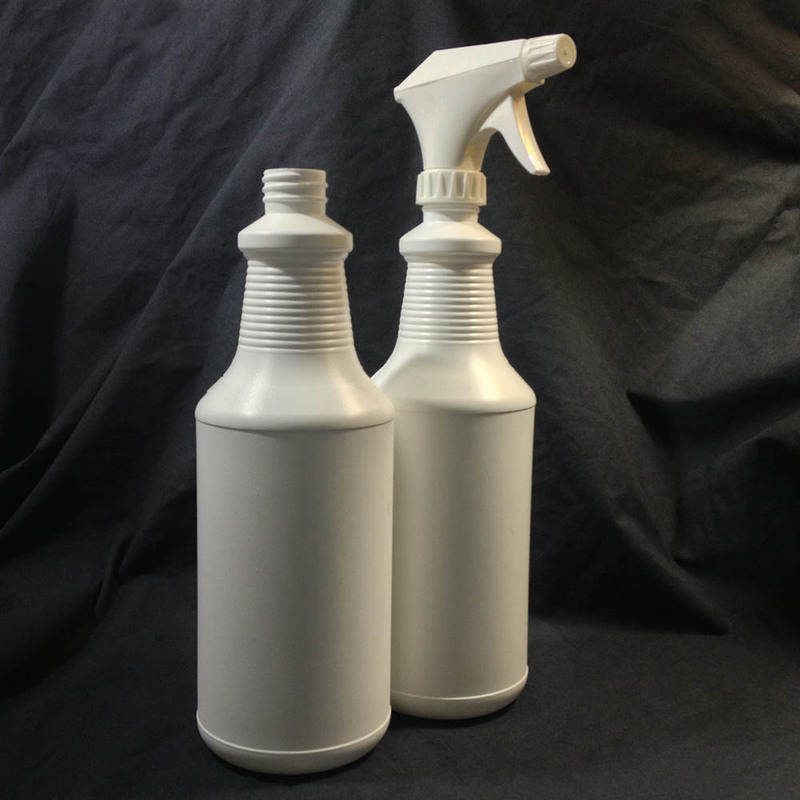 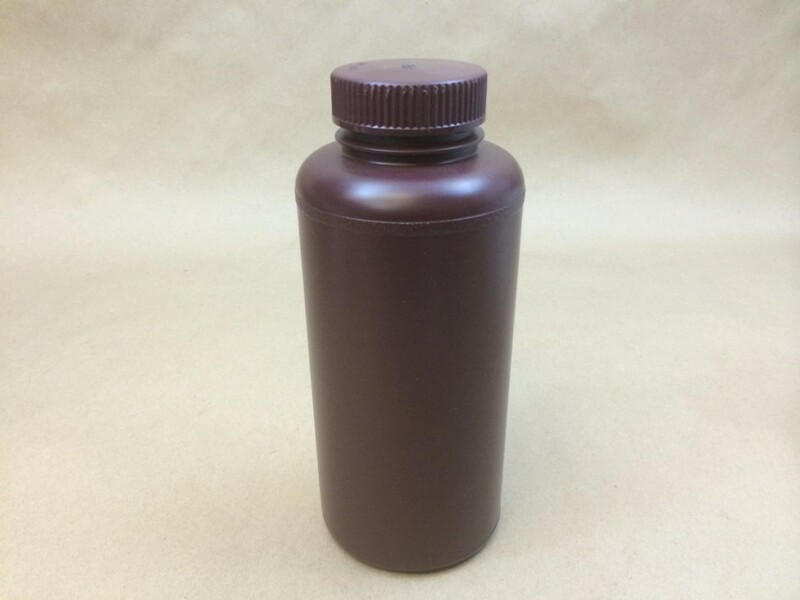 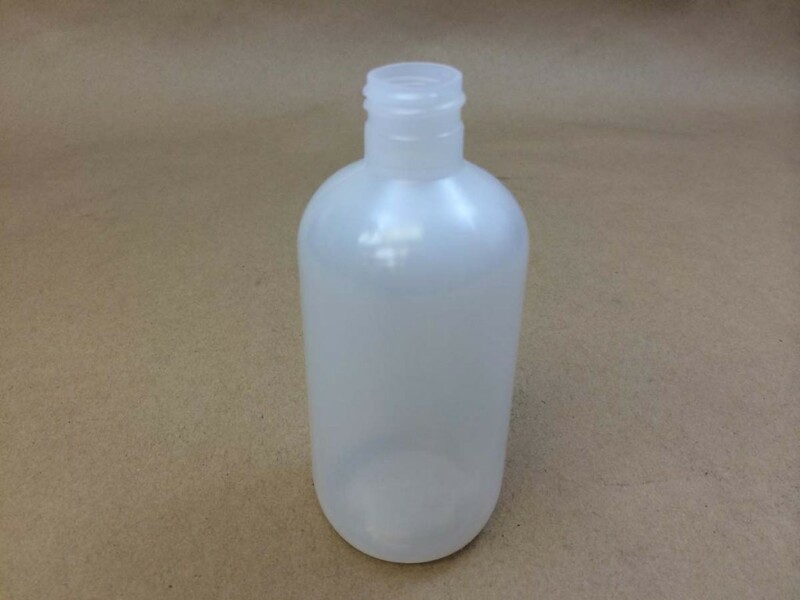 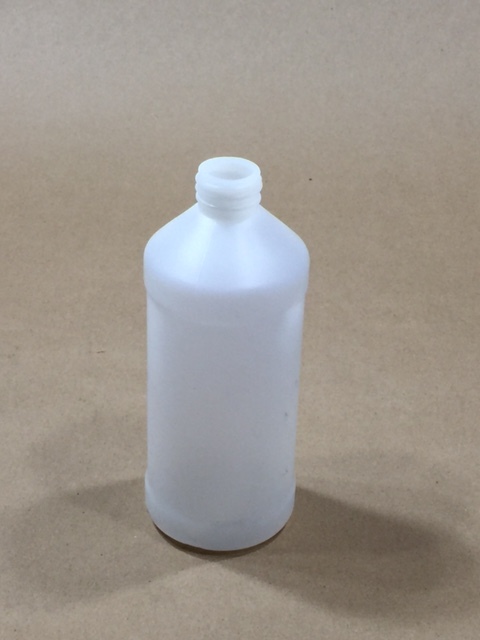 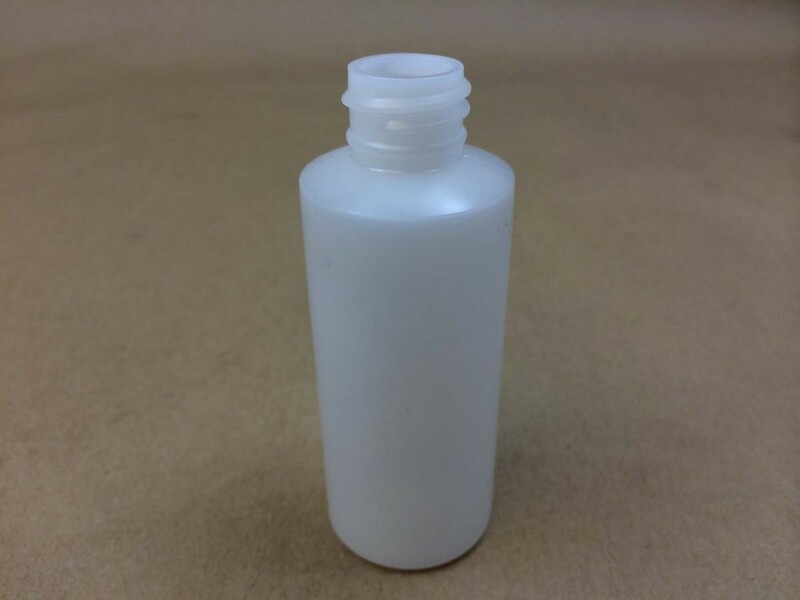 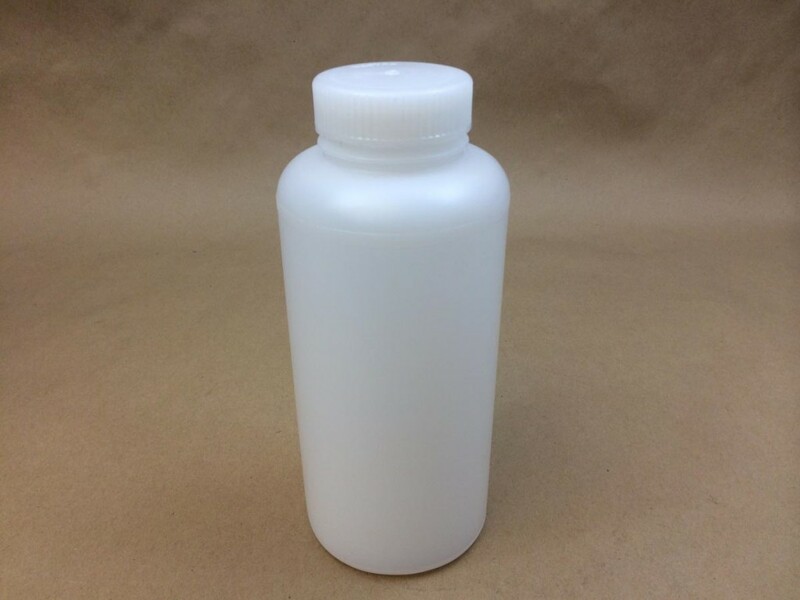 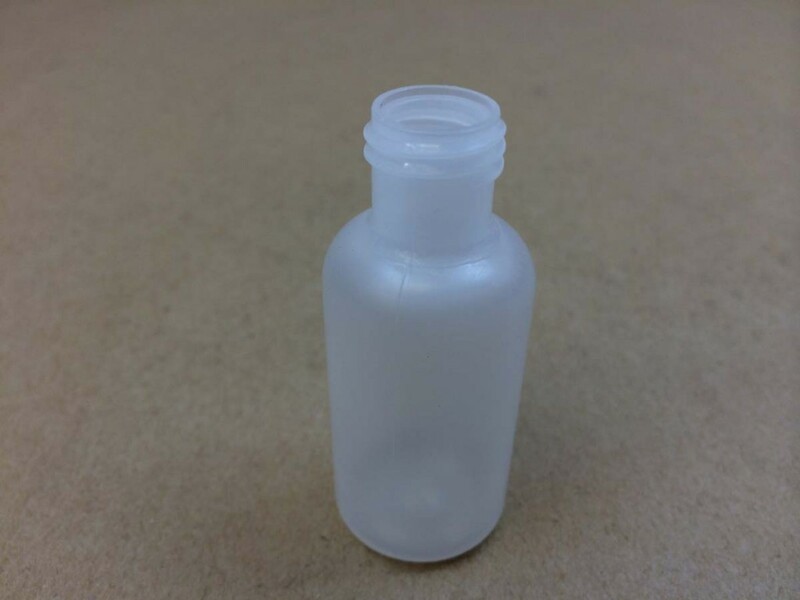 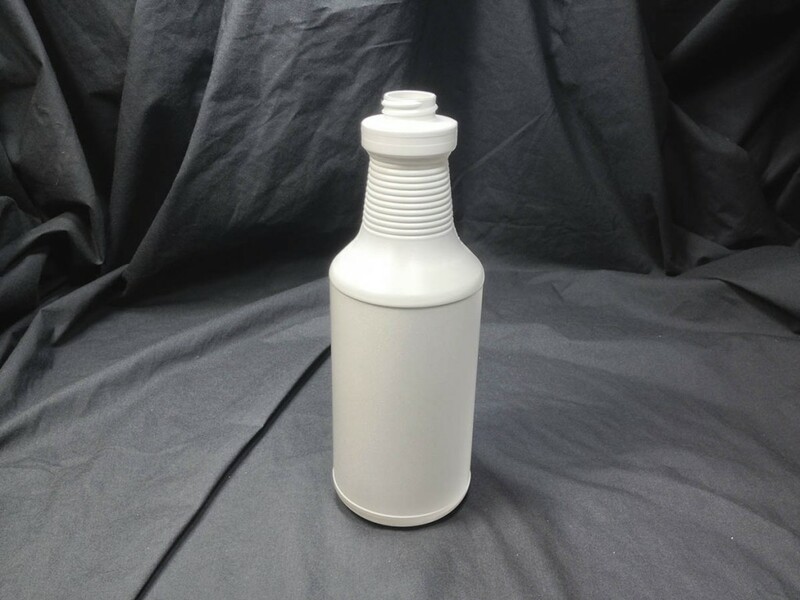 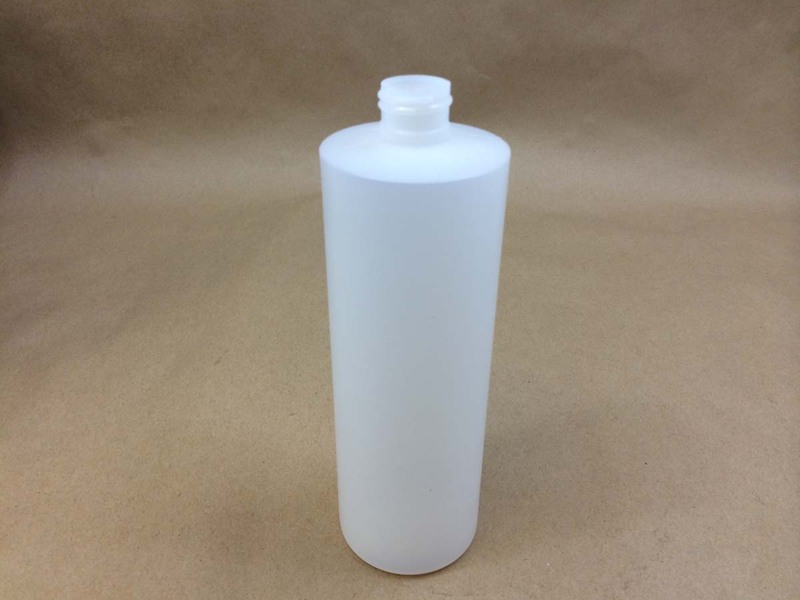 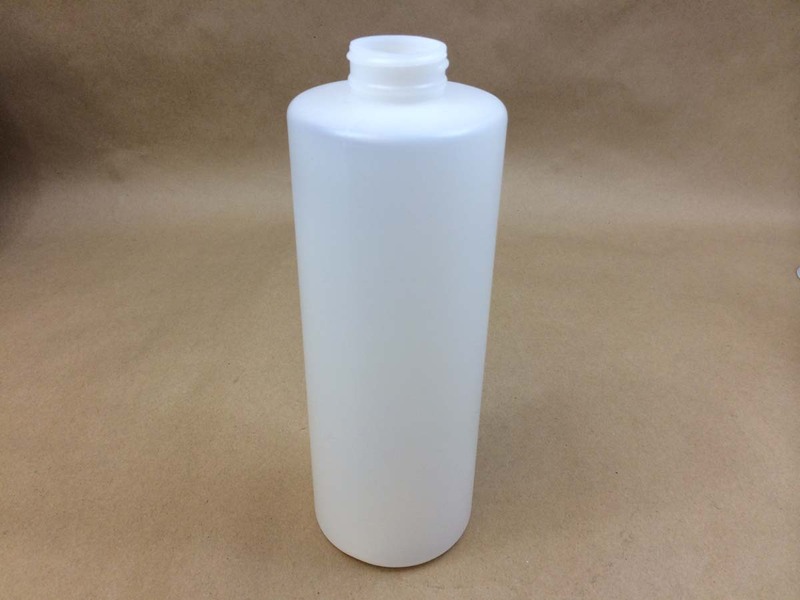 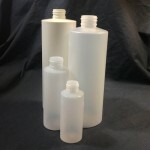 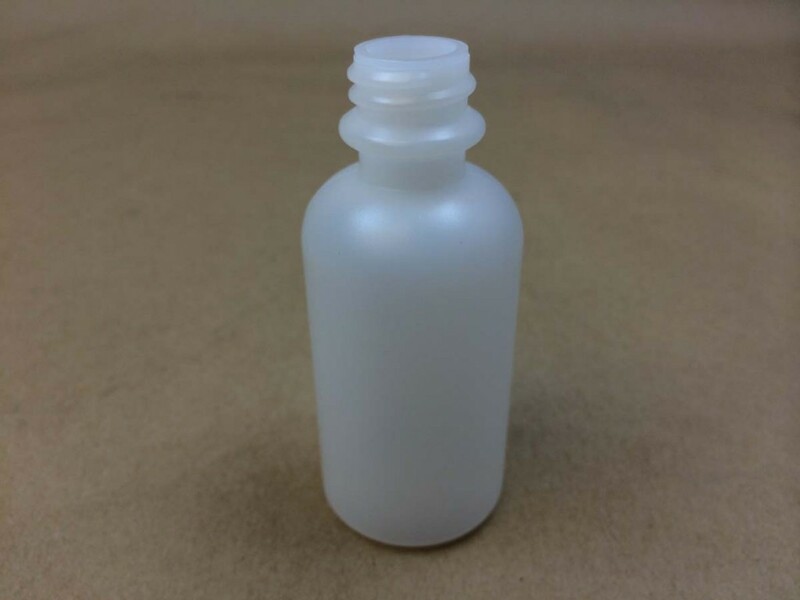 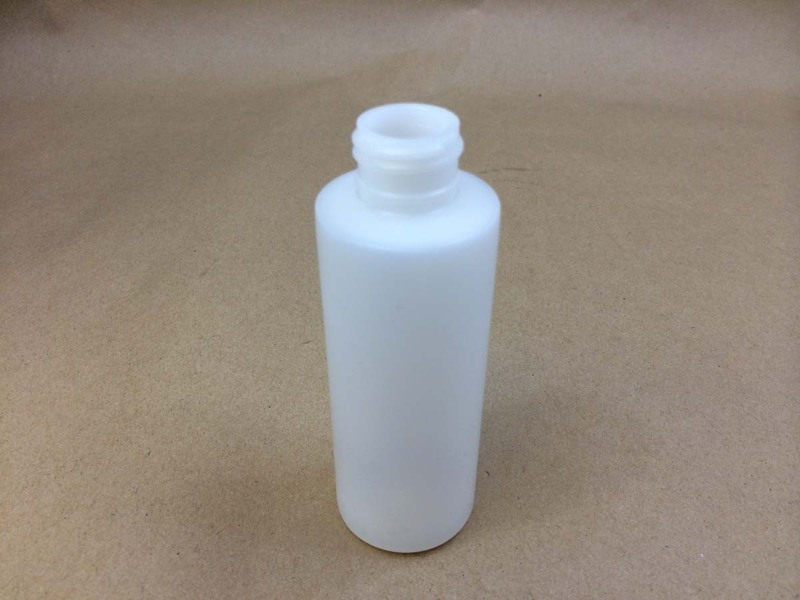 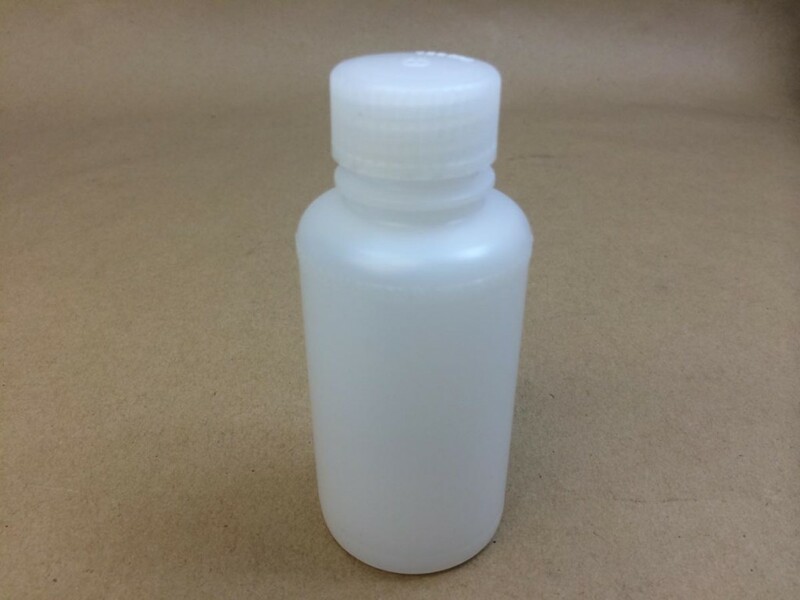 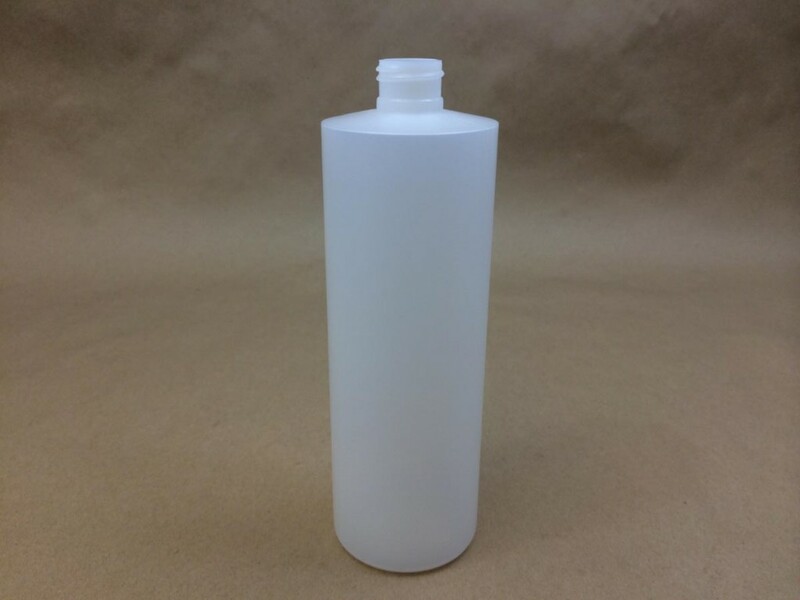 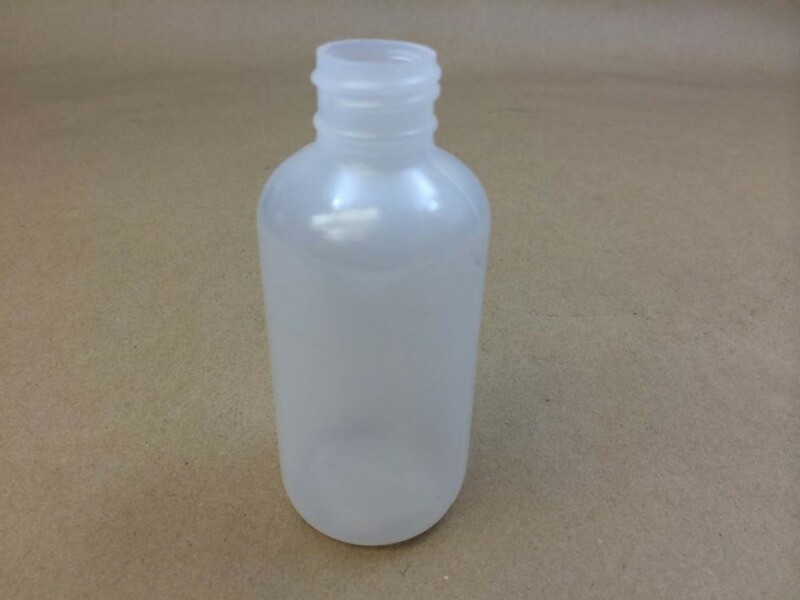 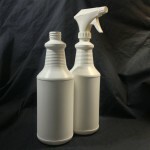 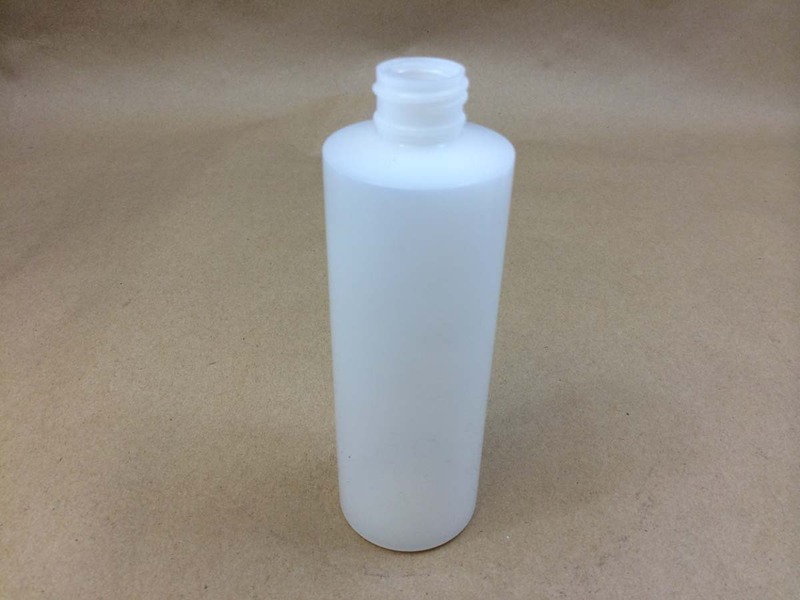 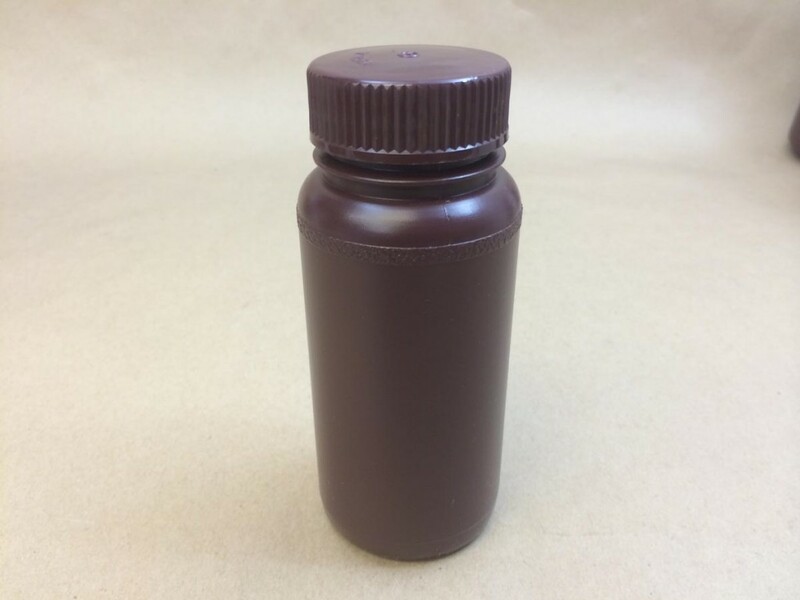 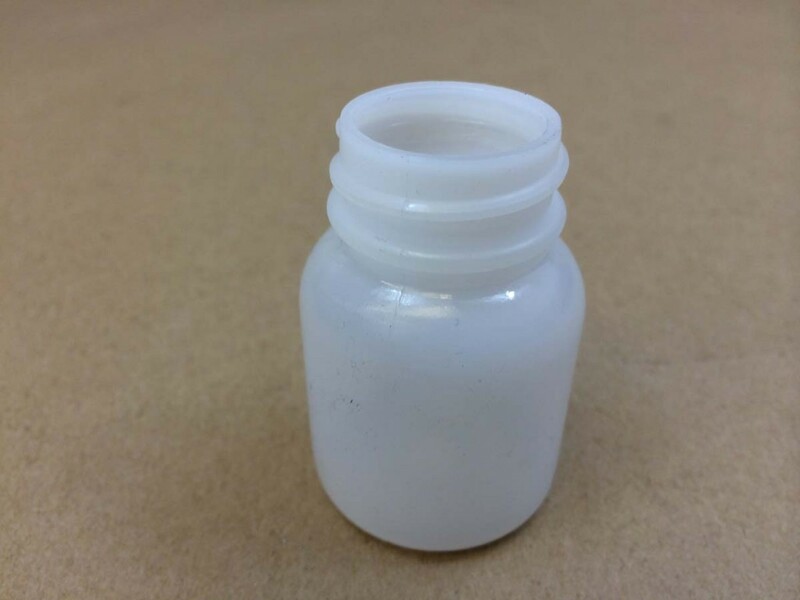 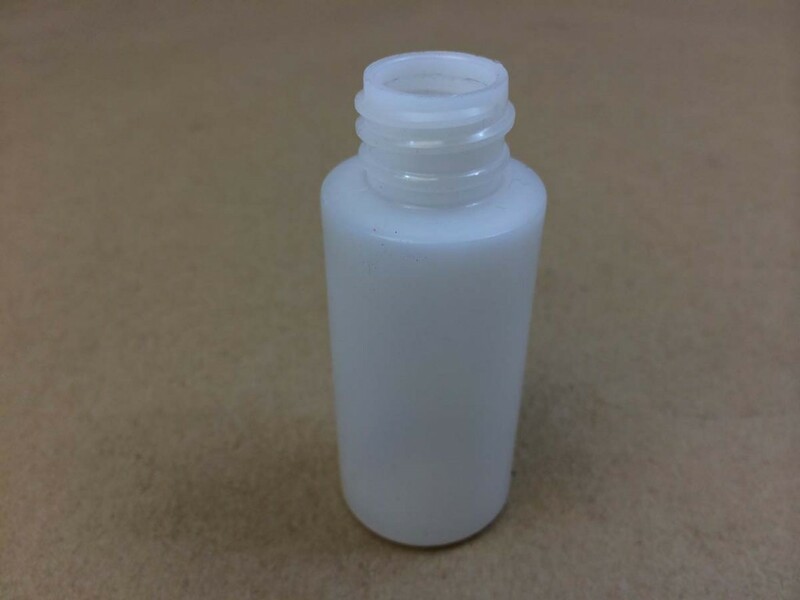 Along with the bottles, we carry a wide selection of poly caps, phenolic caps, spout caps, orifice caps, sprayers and droppers caps. In most cases items will be shown without a cap as we offer a variety of cap and closure choices. Space saver jars or bottles are rectangular or oblong. 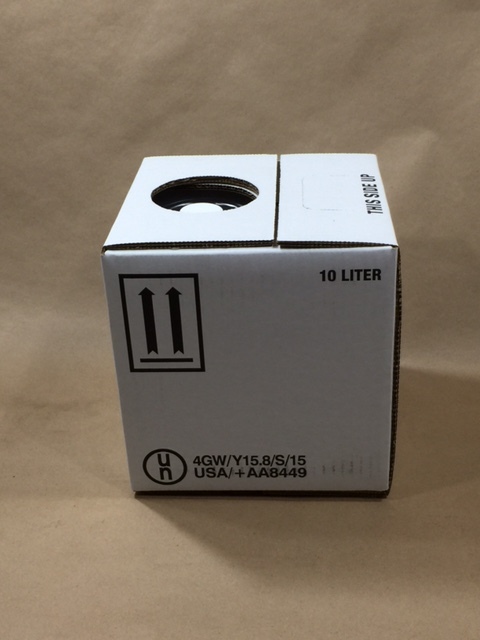 This allows for far more efficient packaging than a typical round container. 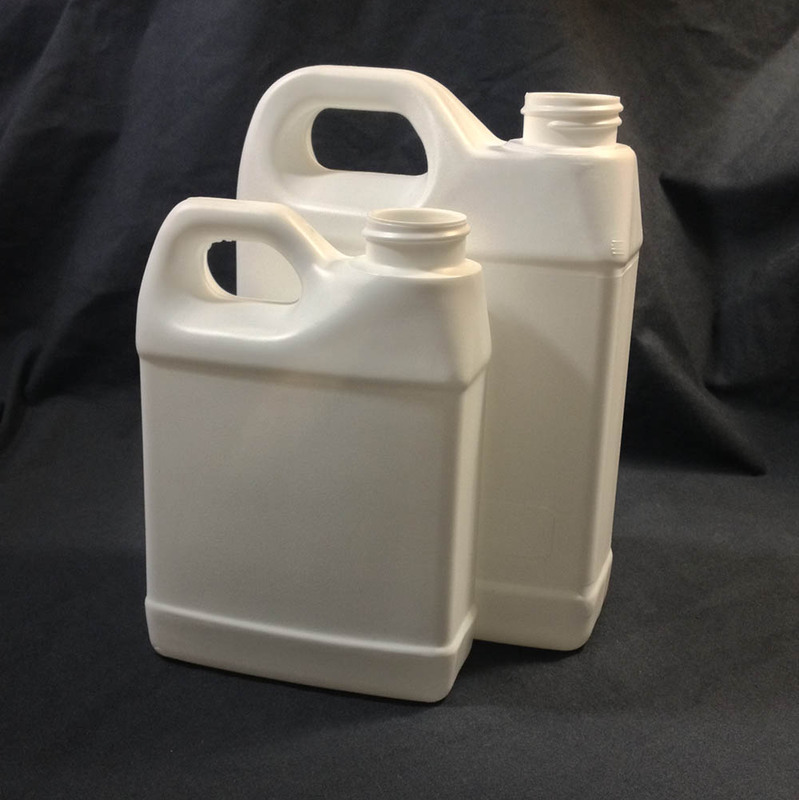 These F-Style containers are rectangular plastic containers with a handle molded into the bottle. 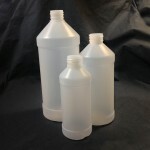 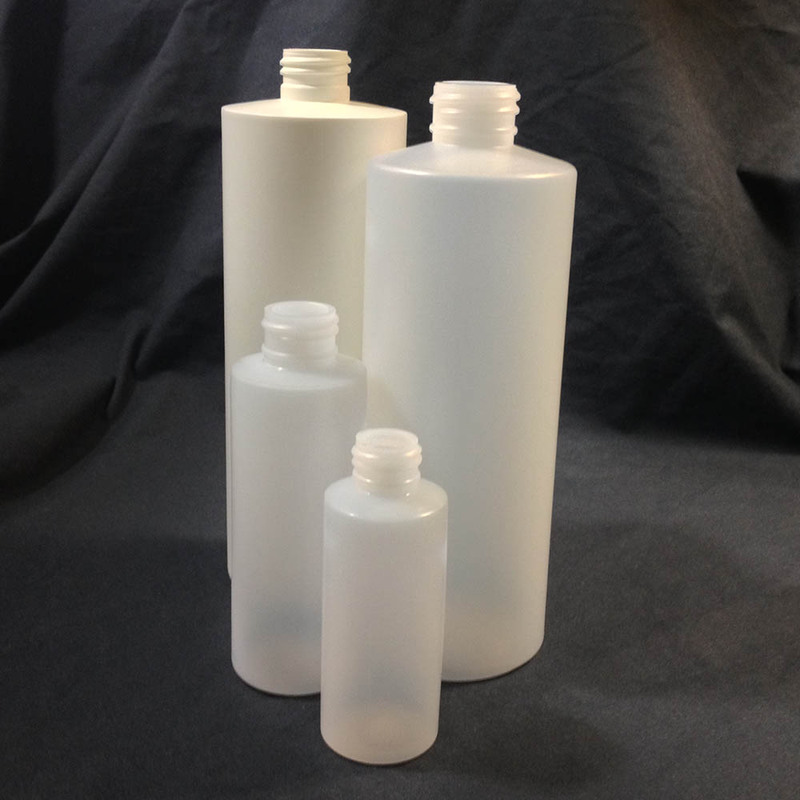 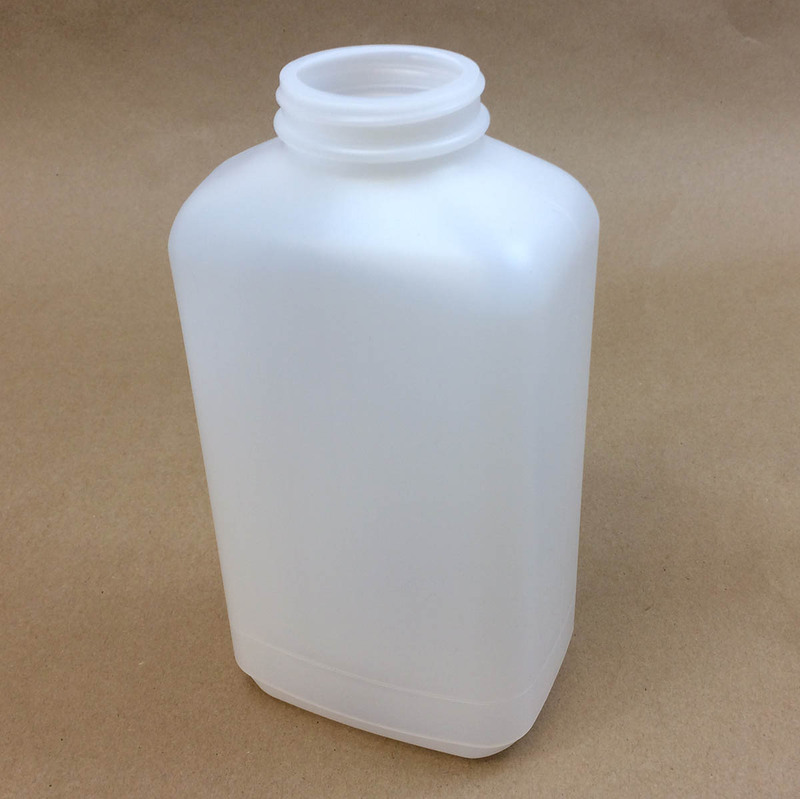 They are normally included under jugs, however, the smaller sizes might make them an interesting option for traditional cylindrical plastic bottles. 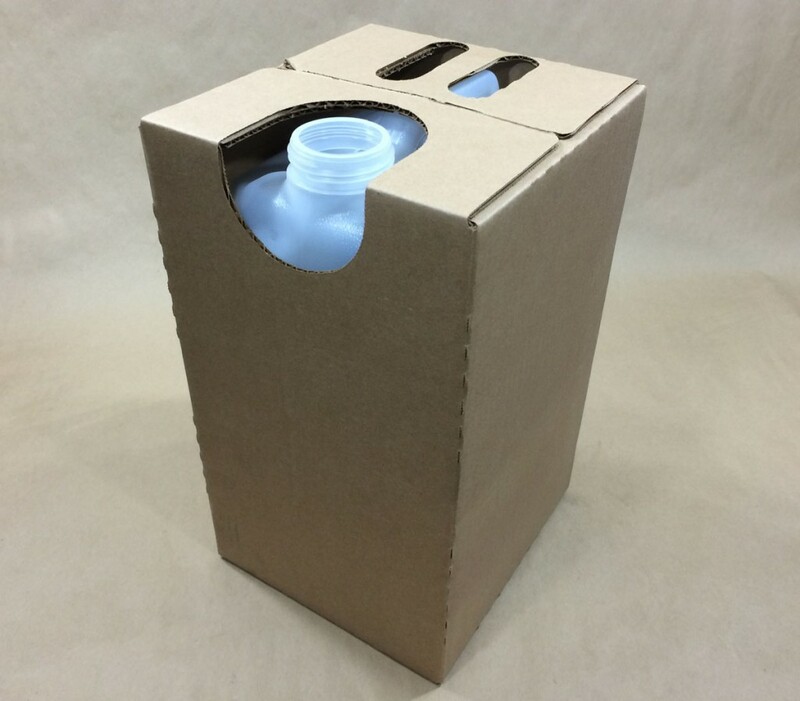 Cubitainers are composite packages sometime referred to as a bag / bottle in a box. 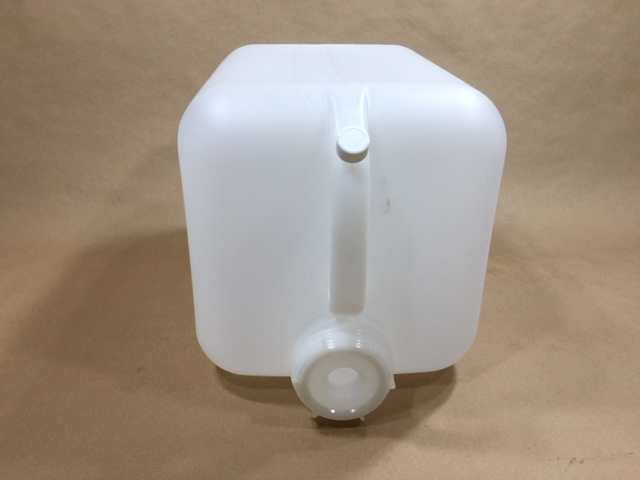 The actual arrangement is that the box holds a semi-rigid bladder that has a cap like a bottle. 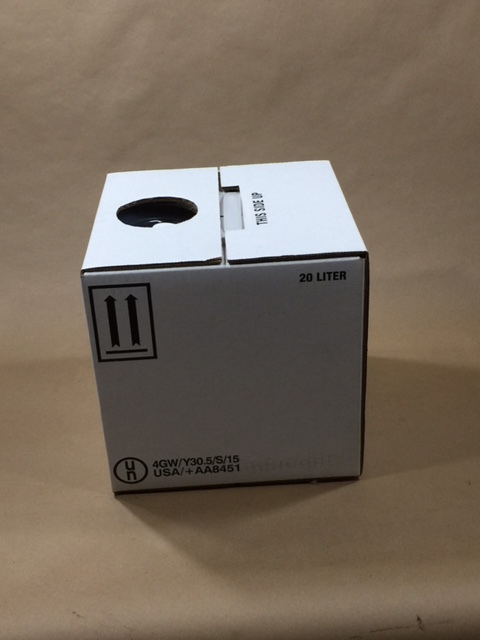 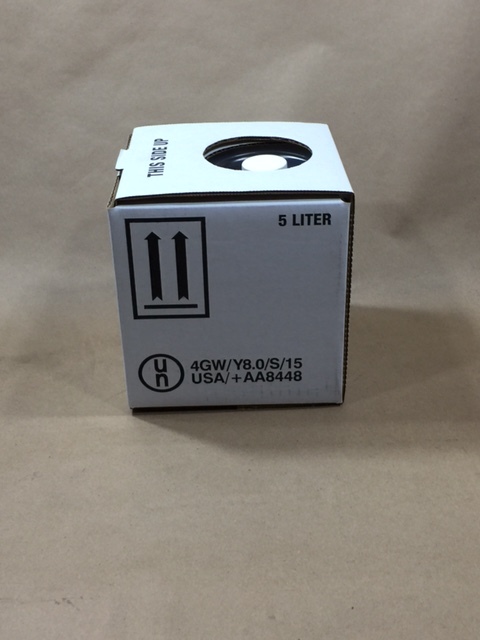 Cubitainers boxes have a hole in the corrugated box that is fitted with a round plastic cover when shipping.